You can view the new film for free! It’s a must-see for any lifelong Lutheran, and a chance to share the message of our Lutheran heritage with others. And you can see the film by borrowing it from our Church library. Give us a call at 309-833-5483. We’ll share! This is the first time in more than 60 years that Lutherans have made a feature-length film about Martin Luther and the Reformation. 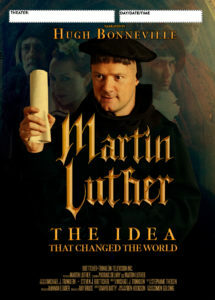 Filmed in historic locations across Europe, this movie brings Luther’s story to life with exquisite attention to detail. It’s a way to strengthen our faith by revisiting the birth of Protestant Reformation, and a chance to share that experience with others.